Sikles Kahfuche Lake trekking is freshly discovered and proposed off the beaten trekking tail in Annapurna which is seldom visited area by trekkers. The trek Kahfuche lake also spelled “Kaphuche” Lake is situated at a elevation of 2450 meters from sea level in Kaski’s Medi Village Municipality-1, and has been a matter of discussion since the last two years for potential trekking destination. According to trekking expert, this alpine and glacial lake is made by the avalanche from the Annapurna II and Lamjung Himal. It will be at least one week long walk, to reach Kahfuche from Pokhara Leknath Metropolitan Municipality to Kaski’s Aarmala, Thak, Tara Hill and Hugu including the villages, rivers, and Bhangyang on the route in the footway. Most parts of this newly found trekking route are inside Annapurna Conservation area. 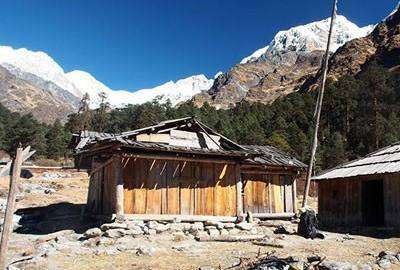 The main features of the trek is observing authentic Gurung culture, the view of the long Annapurna mountain range, the coasts, different wild animals, birds, as well as alpine lakes and glaciers are visible which are its positive characteristics. This trekking route is based on Camping and Home stay facilities. This route will go from Kaski’s Madi Village Municipality which includes places like Hugu, Kori, Thurju and dudhpokhari to Namun Pass which would come out to Manang District. Owner of Namaste Guest House situated in Kaski’s Siklace, Mr Dhaan Gurung informed that Kahfuche Lake, also known as Virgin Ice Lake, was visited by both domestic and foreign tourists the past year. Day 01 :Drive or Fly from Kathmandu to Pokhara Kathmandu to Pokhara by flight (45 mins) and we will have nice time to explore the lake site and enjoying with mountain view from the lake site then Oveer night in Pokhara at Hotel.